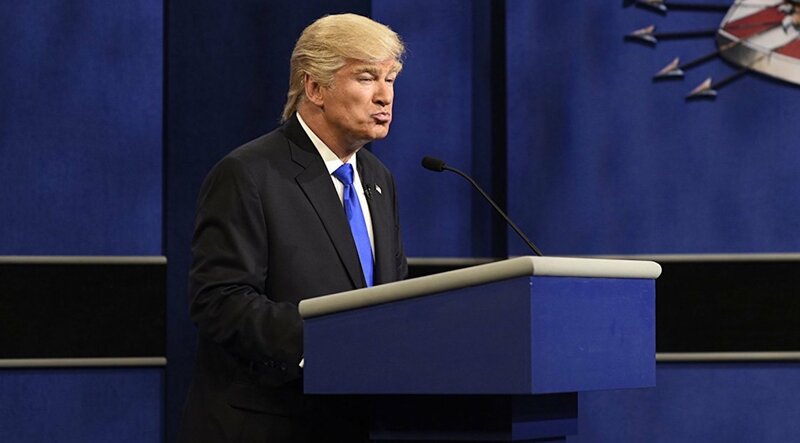 As the man who plays him on Saturday Night Live, Alec Baldwin has probably spent a fair amount of time trying to get inside Donald Trump’s head. And now, he’s putting all that hard work to good use, writing a new book that parodies Trump’s first year in office. The book is written from Trump’s point of view as he bumbles his way into the presidency, where he promptly makes decisions and forms opinions based on what his aids tell him and nothing else. He also spends an awful lot of time stoking his own ego, according to an excerpt published by The Hollywood Reporter. The book then goes on to poke fun at Trump, who massively overstated the size of the crowds who attended his inauguration. Baldwin then goes on to write about how Trump apparently has no thoughts outside of what his staff tells him. Kellyanne Conway, Steve Bannon and Reince Priebus all make appearances. Baldwin’s book is satire, of course. And if the hilarious first chapter is any indication, this is going to be a must-read. Check out the rest of the excerpt at The Hollywood Reporter.